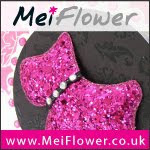 Hi everyone this is my first post on the Meiflower dt blog. I would like to share an Easter card with you. 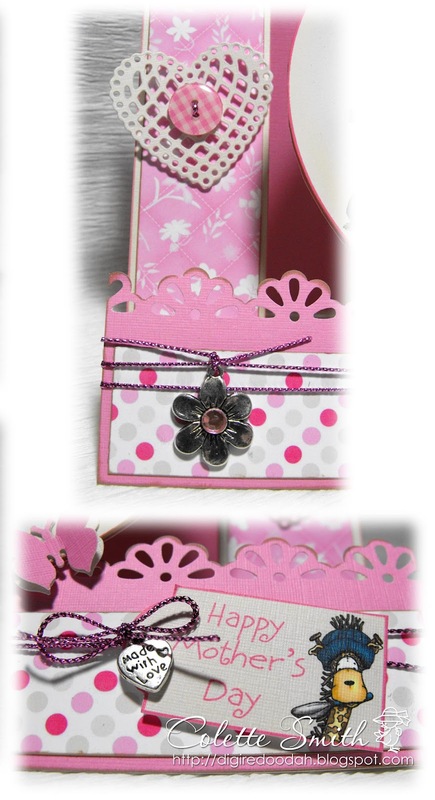 The flower, ribbons Baby pink flower and Baby pink gingham flower and gems are all from Meiflower crafts. The papers are from a Back to basics Dovecraft pad. 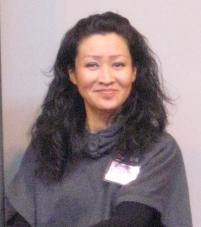 The image is from Little Claire. I've coloured it using promarkers. Hi I just wanted to show you a couple of quick cards I made today, mainly because they have quite a few MeiFlower goodies on them. 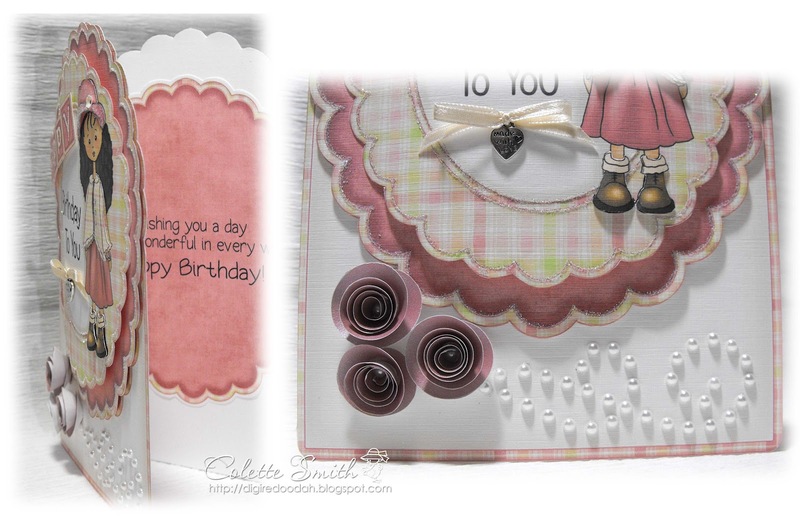 Both cards were made with the new Double-up kits from The Clipart Fairy, one is a ready to print kit and the other is Interactive. There are more details about the cards over on my blog. 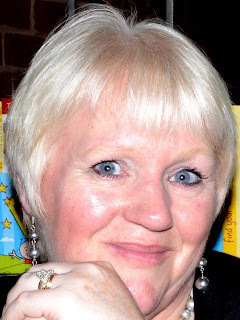 I just splodged (technical term LOL!) a big dollop of tacky glue (any wet glue would do) into the middle of the flower and then added the sequins one at a time with tweezers. 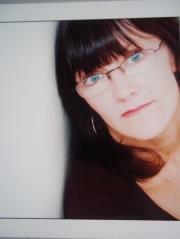 I love the effect it gives, it's very dimensional and I think it looks like a proper flower centre. 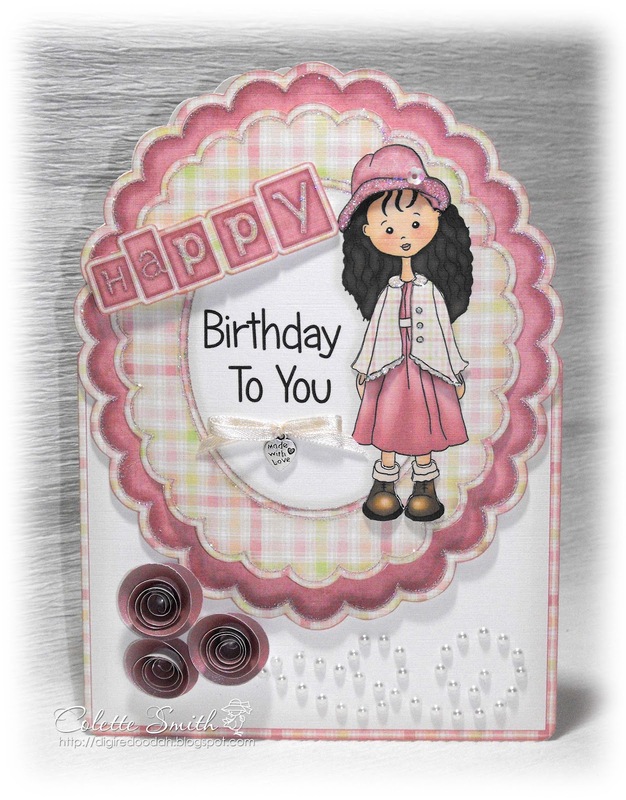 After layering up the front of the card and decoupaging Rosie's outfit, I added a small sequin flower to her hat, a bow, using 4mm satin ribbon, to which I attached a made with love charm, just under the wording, and self adhesive pearls and a Bazzill Jewels template to make the swirls. I made a baby boy banner it turned out wonderfully so i just and just had to make a baby girl one too.I have used all of meiflowers gorgeous baby embellishments ,pink gems and ribbon. Mei has some fantastic new gingham buttons, and I just couldn't wait to use them, so I have added a couple to my latest card. I made a pop-out stepper card, something I haven't done for quite a while, although this time I decided to try and make the pop-out section circular, rather than the usual square/rectangle. I'm really pleased with the way it turned out. 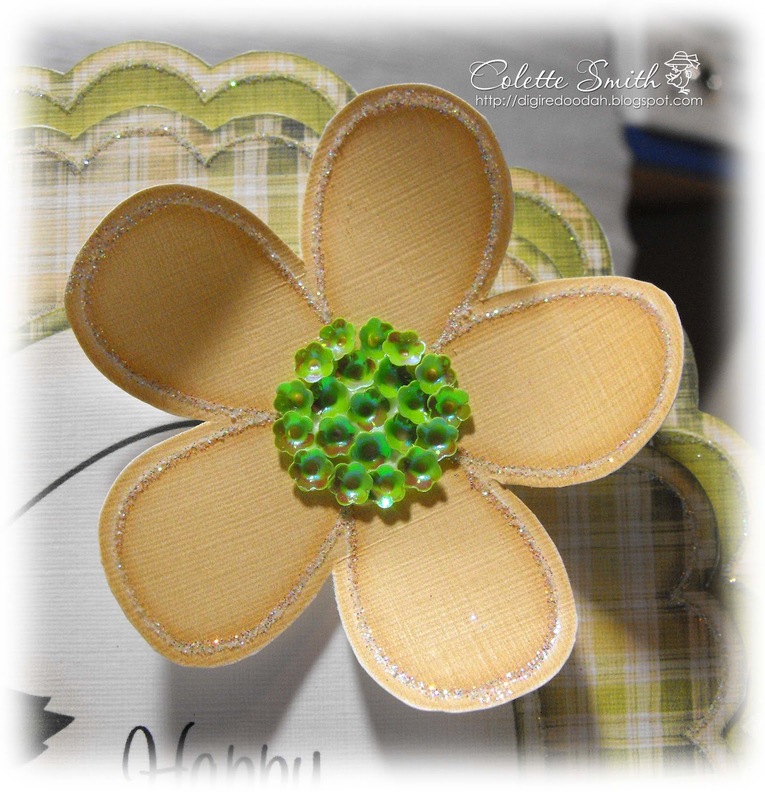 Border - Martha Stewart - half daisy border punch. but just drop her a line if you want any. Here I've used it stuck inside the frame of this large mannequin card. In July of this year my mum and dad in-law will have been married for an amazing 60 years. 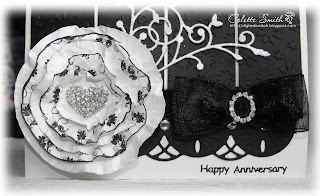 I want to try and make them a really special card and have decided that over the next few months I will try out a few different ideas and see which I like best, as it's their diamond anniversary I definitely want plenty of bling, so here is my first attempt. 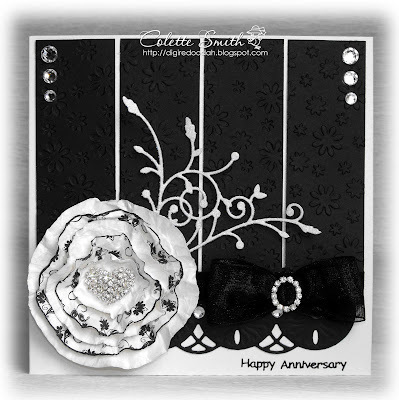 I thought that black and white would look quite classy so I embossed black card cut it into four strips and attached them to the front of a square card blank, attaching them alternately as embossed and de-bossed (the other way over LOL!). I added a die cut border along the bottom, covered with wide black organza ribbon and then made a bow to attach to the right hand side using a diamanté ribbon slider. I made up a lollipop flower using 5 circles, 3 plain and 2 patterned, crumpled them up, unravelled them, joined them all together with a brad in the centre, crumpled them up and unravelled them again, then attached the diamanté heart to the centre. The swirl was die cut and then glittered before attaching behind the flower. A couple of extra gems finished it off. Not sure yet if this is the look I am going to go for or if I prefer a card with an image, but I still have plenty of time to try out different things. Following on from yesterday's post, here is my baby girl version of the card. 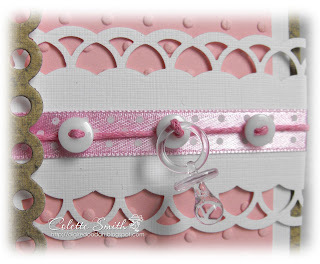 After attaching the polka dot ribbon to the punched border I fed the pink cord through the buttons, spacing them equally as I went. Once I had the cord through the first hole of the middle button I added my dummy and tied a knot to hold it in the correct position, then I fed the cord through the second hole and added the final button. I use a small piece of red double sided tape to the back of each button, stuck them into place on the polka dot ribbon and then attached the ends to the back of the punched border with a bit of tape. I used the 12mm and 25mm organza ribbon and tied them together to form the bow. i then topped it with a flower...it gives a lovely look and is so easy to do. 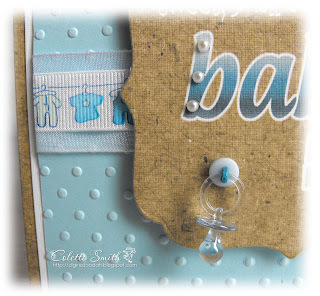 Thought I would show you this quick and easy baby card. 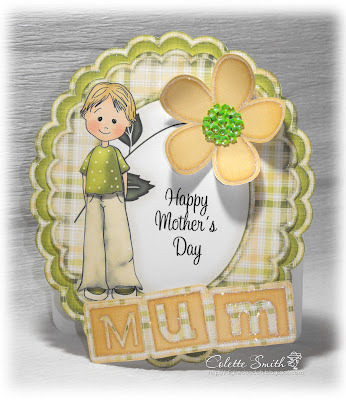 I decided not to use an image, but just go with some wording and use embellishments to stop it looking too plain. 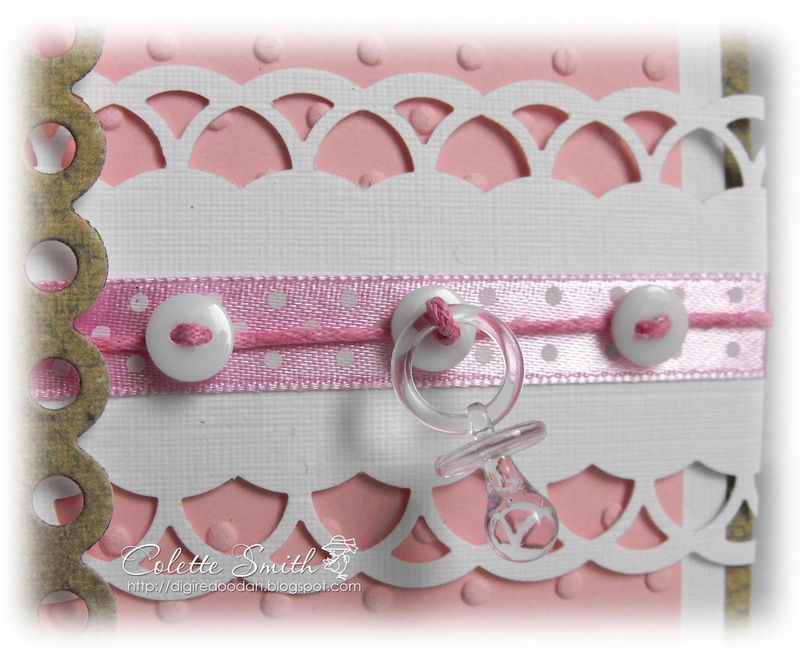 Embossing folder - Swiss dots. White organza ribbon, It's a boy ribbon, pearls, button, string and dummy - MeiFlower. As I don't have any split rings or chain to attach the charms I am always looking at different ways to do it. On this card I threaded cord through a buttonhole, slid the dummy onto the cord and then threaded it through the other hole and pulled it tight, I then punched a small hole into the card where I wanted my dummy to go, threaded both ends of the cord through and pulled is so that the button sat flat against the card. A piece of tape over the ends of the cord at the back, secures it into place. Top tip - when using cord or anything similar that is made up of strands, and especially when you are trying to thread it through small holes - use your fingers to spread a little PVA glue over the cord where you are about to cut, give it a minute to dry, and then cut through the middle of the glued area, it stops the strands from unravelling and keeps the end a bit stiffer, making it much easier to thread. I also have a baby girl version, embellished slightly differently so will pop that on later. 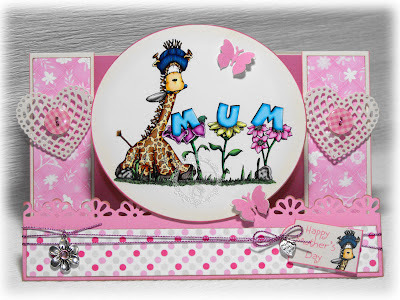 thought I would pop this card on here to show you how I've used some of MeiFlowers fabulous goodies. 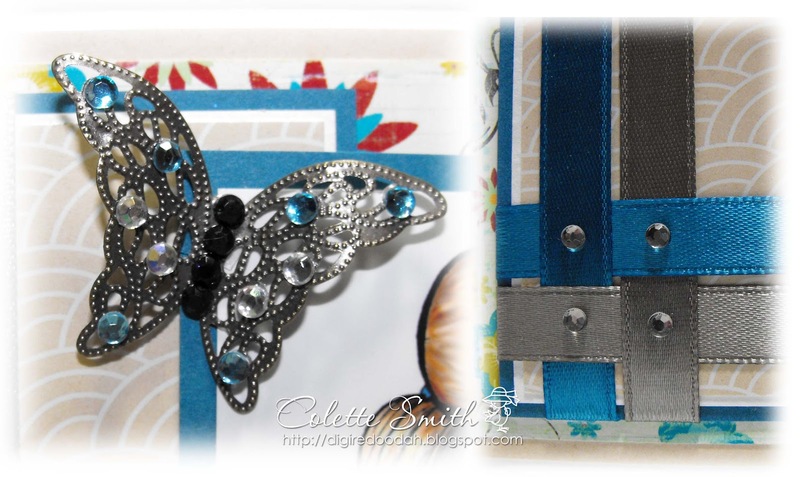 I used a gorgeous combo of Teal and Taupe ribbons, and did a slight weaving effect with them. The matching taupe gems added a nice little finishing touch over the weaved section. The colour of the metallic butterfly matched the taupe ribbon perfectly, so I added a few blue and Aurora Borealis gems to the wings and black ones down the body to give it a bit of sparkle. Welcome to Meiflower Cards blog created to showcase our very talented and creative designers, to give you more ideas and inspiration on how to use our beautiful MeiFower crafting products. the sentiment is free from sentiments4you.